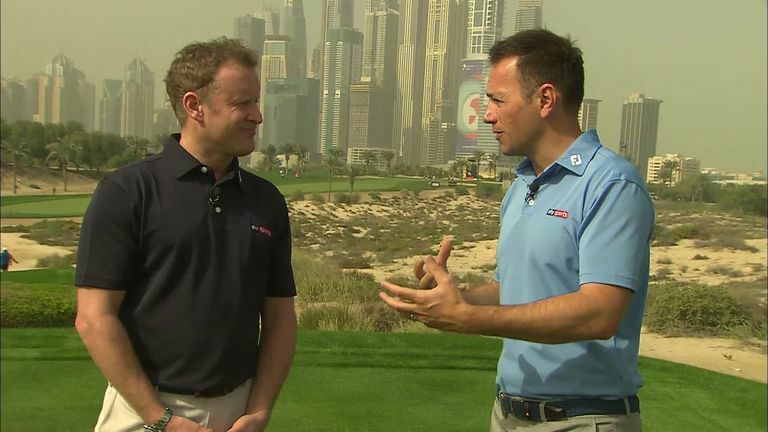 Jamie Donaldson joins Nick Dougherty to preview this week's Dubai Desert Classic and pick out which players he expects to go close in the 30th edition of the tournament. Tommy Fleetwood believes his game is heading back in the right direction ahead of the Omega Dubai Desert Classic. Fleetwood made a slow start to the calendar year with a tied-42th finish at last week's Abu Dhabi HSBC Championship, having only narrowly avoided missed the cut as defending champion. The Englishman struggled on the greens in the Desert Swing opener but feels his game is in better shape ahead of his visit to Emirates Golf Club, where a tied-sixth finish last year was his first top-10 in six appearances. "It's funny because last year I felt like I played awful around here and it's my best result ever on the golf course," Fleetwood told the media on Tuesday. "I feel like my game's much better than last week, just in practice that I've had. I came here on Sunday to do some work on my putting, which clearly needed some work and that's getting better. "Overall, I feel sharp. I think I feel like I'm sort of getting into the game again a little bit. I felt great in practice and things are moving in the right direction." The 2017 Race to Dubai champion registered one win and 11 worldwide top-10s during last year's campaign, with Fleetwood looking to improve further over the coming months. "2017 was a big rise for me," Fleetwood said. "2018 was still rising but kind of consolidating my position in a state of the World Rankings. "This year, there's still things I need to do in my game. If I just focus on my game and focus on areas of my game I want to improve that will make me the golfer that I kind of envision in a few years' time, then I'll stick to that and hopefully that will press me in the right direction. "I'm really not looking at results. Every week, you clearly want to win; everybody does, but without sort of picking out too much and putting pressure on and just trying to be a golfer, hopefully things will take care of themselves." Watch the Omega Dubai Desert Classic throughout the week live on Sky Sports. Live coverage begins on Thursday from 4am on Sky Sports Golf and Sky Sports Main Event.